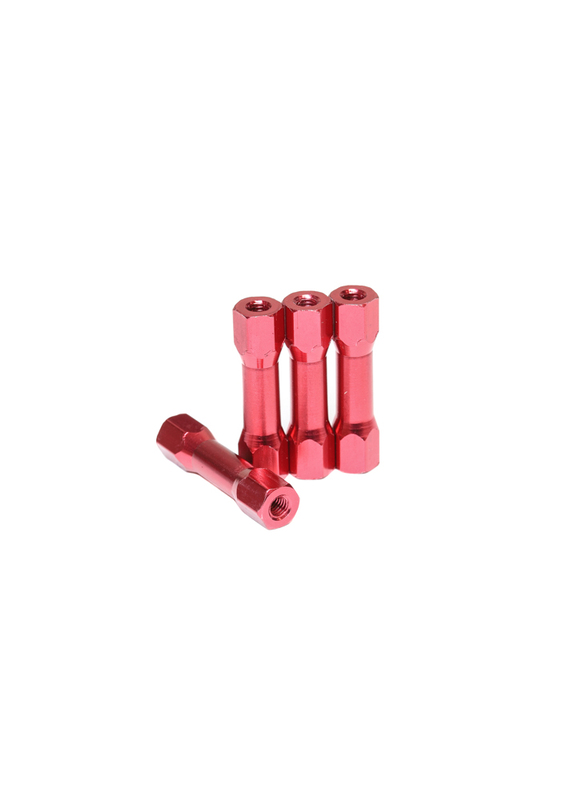 These particular spacers are made from a lightweight aluminium alloy and are fully threaded to suit M3 screws. They also have hexagonal ends that not only look good; they make screwing your frame together much easier as they can be held with a 6mm spanner – no more spinning spacers! We offer a range of sizes from 25mm to 40mm in eleven different anodised finishes: black, titanium, silver, gold, purple, pink, red, orange, light blue, blue and green. Each pack comes includes a set of 4 spacers.